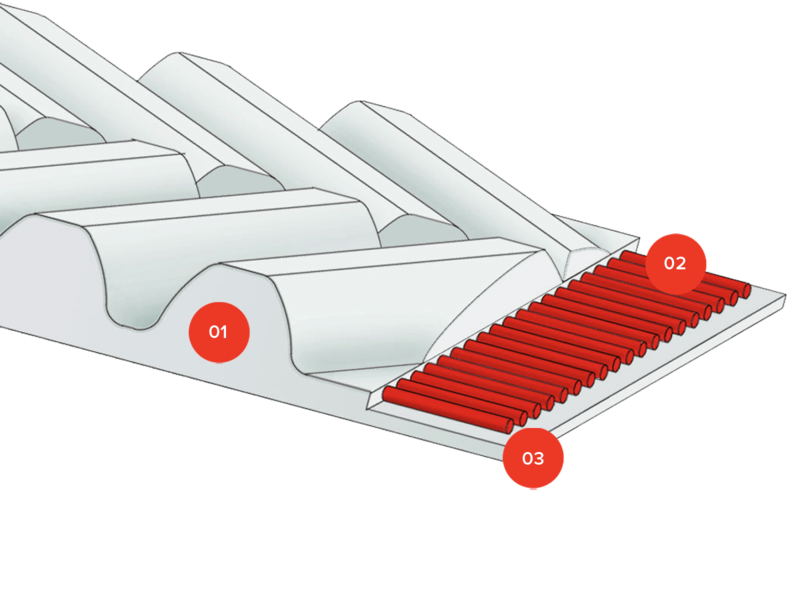 The precise and continuous mesh between belt and pulley delivers an improved reduction in noise level, versus traditional types of trapezoidal and curvilinear tooth designs. Additionally, MEGALINEAR QST products are self-tracking, eliminating the need for flanged pulleys. The Offset Tooth design allows MEGALINEAR QST to run more quietly than any other synchronous product. MEGALINEAR QST shows a significant reduction of dB (A) in the applications where traditional timing belt tooth profiles are used. MEGALINEAR QST design consists of left and right Offset Teeth which guides the belt into the centre of the QST pulley, eliminating any belt wander and ensuring high precision linear positioning. The self-tracking nature of the offset teeth eliminates the need for pulley flanges. 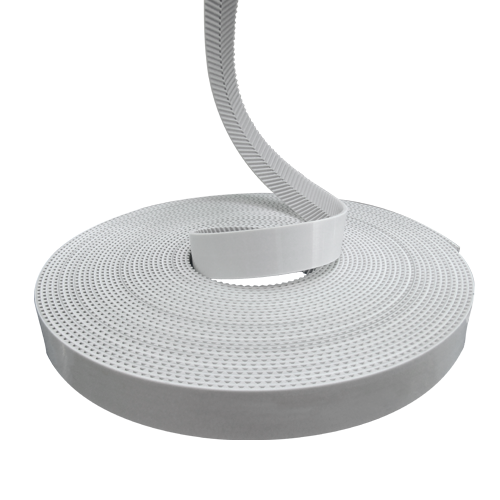 The body of the belt is made with thermoplastic polyurethane 92 ShA. High strength zinc coated steel tension members (S and Z torsion). Are you interested in MEGALINEAR QST?